Review : Canon 5D Mark iv - Escape Velocity Cine Lab Pvt. Ltd. The Canon EOS 5D Mark IV boasts a huge array of high end features, including a 30 megapixel full frame CMOS imaging sensor and Canon’s latest AF system, for a significantly lower price than Canon’s current 1-Series model. This value and versatility, as with all EOS 5-Series models before it, launched the Canon EOS 5D Mark IV to great fanfare and a strong demand. The original Canon EOS 5D DSLR was the first affordable full frame DSLR. It was a highly regarded and very successful model. The Canon EOS 5D Mark II, with its excellent 21.1 MP full frame sensor, launched to instant success 3 years later. The image quality to price ratio of this model was exceptional, especially from a video perspective. The 5D II was Canon’s first video-capable DSLR and it achieved great fame for its amazing video image quality for the price. About three and a half years after the 5D II’s arrival, the Canon EOS 5D Mark III was announced. While the 5D III brought another image quality upgrade, the improvement, especially in resolution, was minimal relative to the improvement brought by version “II”. The 5D III had many great upgraded features, but the standout was its amazing new AF system. The 5Ds and 5Ds R models, not replacing the “Mark” series, took us back to a very significant resolution increase being the primary upgrade feature as we last saw with the 5D II. While many made the jump to the 5Ds models, there were also many holdouts waiting for something different in their upgrade path. The IV is what many of them were looking for, with a nice bump in resolution over the III, an improved AF system, improved video capabilities and much more. The 5-Series cameras have been my primary bodies since the 5D Mark III (though a 1-Series model takes care of my sports and fast-action needs) with the 5Ds R bodies being the current model I’m using at 5D IV review time. The best-available in many respects, these are feature-filled, all-purpose cameras that are easy to use, feel great in hand and reliably deliver very impressive image quality. The 5D Mark IV showed up on a Friday. I did much of the studio testing and evaluation immediately – we all wanted to know how the camera would perform and … that gave me just enough time to put the camera in my pack for a 10-day Idaho and Grand Teton National Park wildlife and landscape photo trip with a departure the following Tue at 3:00 AM. I rotated the 5D IV and a pair of 5Ds R bodies through the lenses being primarily used at the time and I was left with no regrets. The camera performed impressively throughout this trip. Let’s take a look at what we get with the “IV”. As mentioned, one of the EOS 5D Mark II’s big upgrades was its huge resolution increase, going from 12.8 to 21.1 megapixels. A resolution increase was not a headlining upgrade for the next model, with the EOS 5D Mark III receiving a bump to 22.3 megapixels. While that was a positive feature, it was far from dramatic and, alone, likely drove no upgrades. That is changed again with the EOS 5D Mark IV (disregarding the side-stepping 5Ds models), with this camera getting upgraded to 30.4 megapixels, a very noticeable and welcomed increase. View the full Canon EOS 5D Mark IV specifications to compare additional cameras. While still considerably lower resolution than the 5Ds/5Ds R bodies, the 5D Mark IV ‘s 30 megapixels is a significant amount – far more than any other EOS cameras to date. Obviously this is a new sensor as Canon has not offered a full frame camera with this same resolution prior to now. There are many benefits to a higher resolution sensor. A primary benfit is that the image can be output larger or output to the same size at a higher DPI for better quality. I often find myself using the entire image dimensions to frame my final composition, attempting to have the most detail for viewing or printing large. While this strategy is usually a good one, sometimes that tight framing gets me in trouble later such as when I need a bleed edge or need to format the image to a non-3:2 ratio such as for an 8×10 print (possibly because someone liked the frame and now needs a print to go into it). Sometimes I simply frame a bit too tightly and need to expand an image border during post processing. With more resolution available, there is more freedom to frame slightly wider to better accommodate those needs. With more resolution available, it is possible to make a variety of final compositions from a single image. For example, individual portraits could be cropped from a group photo. Or, shoot an environmental wildlife portrait and crop a tighter portrait from that image. I sometimes find myself focal length limited (not having a long enough focal length available for the desired subject framing), especially when using a prime lens for sports and wildlife photography. This means that the image will require cropping in post production. Having more resolution (a more-dense imaging sensor) means that higher resolution remains after cropping. 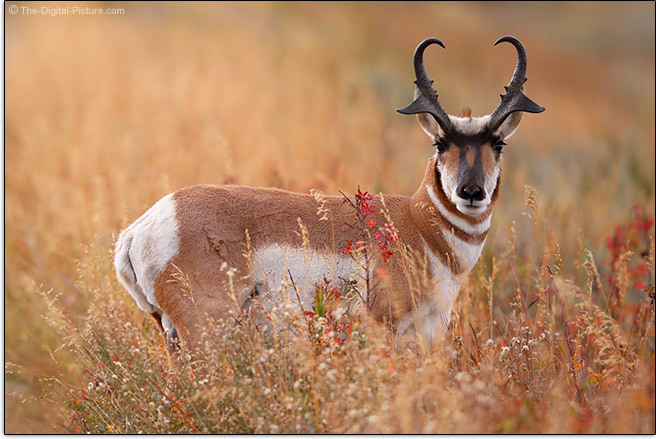 Here is an example: I had been photographing a pronghorn buck in Grand Teton National Park using the 5D IV and an EF 600mm f/4L IS II Lens. I was trying to remain ahead of the buck, letting him come to me, but then it decided to cross the road. I didn’t want the road in the frame, but I was modestly too far away when the pronghorn paused in a good position with some fall colors in the frame (he was mostly in a mix of grass and dead sage prior to this). What do you do? Take the photo and crop later of course. 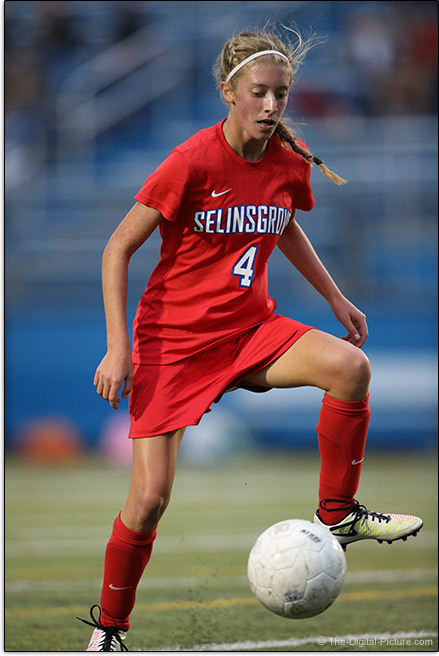 The 5D IV’s high resolution sensor gave me over 10 megapixels remaining in this significantly cropped image. Want a panorama without the need to setup and capture multiple images to be later stitched together? If the camera has adequate resolution for the final product, simply photograph the scene with an ultra-wide angle lens and crop the image to the aspect ratio desired. As usual, a wide variety of lower resolution and/or quality options are available with the 5D IV, including M-RAW (5040 x 3360, about 17 mp) and S-RAW (3360 x 2240, about 7.5 mp). As always, JPG images can be generated at any size desired when converting from a RAW image. The 5D Mark IV supports 4:3, 16:9 and 1:1 (square) aspect ratios as well. When the EOS 5Ds and 5Ds R were released, image quality factors relating to that high resolution were a primary concern. Magnify the image being captured and problems not visible before become apparent. While the 5D IV is not as high resolution as these models, it still has a very high resolution. High resolution sensors work best with high quality lenses, but with the higher resolution magnifying camera motion (shake, vibration or other movement), more considerations come into play. As with the 5Ds, Canon has implemented some improvements designed to aid in keeping the 5D IV motionless during the exposure. One such advancement is an improved mirror mechanism. The 5D III’s mirror is spring driven and the mirror impacting the top plate can cause vibration. When you get to really know a camera, you can feel this vibration. While the 5D III’s mirror impact is relatively minor (far better than the 1Ds III that I sometimes use for capturing product images in the studio), I often shot with the 5D III in Silent mode to gain a slight edge. Like the 5Ds, the 5D IV gets an electronic motor-driven mirror that slows the mirror down at the end of its travel, reducing vibration. The mirror mechanism change is noticeable in use, resulting in quieter operation. I’m disappointed that the ability to program a shutter release delay upon mirror-up condition, first featured in the 5Ds and 5Ds R, is absent from the 5D IV. Increase the resolution and autofocus accuracy becomes more critical with Auto Focus MicroAdjustment (AFMA) taking on an elevated importance. Like the 5D III and 5Ds, the 5D IV has this feature available. AFMA works (for lenses that focus consistently) and is very useful. Because there are more pixels in the same amount of sensor space, camera and subject motion causes subject details to cross over pixels at a faster rate, potentially resulting in blur and a loss of pixel-level sharpness. Because of this, you will find that a somewhat faster minimum shutter speed may be necessary for handholding this camera (and that image stabilization becomes more important). Similarly, fast-moving subjects may require somewhat faster shutter speeds to avoid pixel-level motion blur. The 5D IV’s difference from the 5D III is not as dramatic as with the 5Ds, but be on watch for this related issue. A 1/3 to 2/3 stop faster shutter speed than used with the lower resolution 5-Series models should be adequate to stop the motion difference. Another issue that becomes more visible at high resolution is diffraction. The science of diffraction is a bit complex, but understanding the science is less important than knowing how diffraction can impact image quality. Everyone should be aware that, as the aperture opening decreases, images become less sharp beyond the approximate aperture we refer to as the Diffraction Limited Aperture (“DLA”, included in table above). As resolution increases, that point of visible degradation occurs at a wider aperture. While you will probably want to use apertures narrower than the DLA at times, the decision to do so must happen with the understanding that pixel sharpness becomes a compromise being made. While the 5D IV’s 5.36µm pixel pitch sensor will show diffraction at a wider aperture (f/8.6) than the 5D III’s 6.25µm pixel pitch sensor (f/10.1), the difference is not nearly as large as with the 5Ds’ 4.14µm pixel pitch sensor (f/6.7). The 5D IV’s image quality does not suddenly fall behind the 5D III at f/8.7, but as the aperture becomes narrower, the benefits of the inceased resolution are not as fully appreciated. All that said, it must be remembered that any resolution-caused increase in image quality issues will be apparent only when viewing images large, such as at 100% on a monitor. Those flaws will be no more visible than those from a lower resolution camera when output size is matched and that is the ultimate importance. If the flaws can be minimized through good technique and great gear, the higher resolution image has big advantages. The marketing department is always quick to state a camera’s ISO range, but … the usable settings within that range are what really matter. I immediately dismiss the highest couple or few stops as having a too-low SNR (Signal-to-Noise) level. The 5D Mark IV gets ISO 100-32000 in 1/3 stop increments with full stop increment expansion up to 102400 and down to 50. The difference from the Mark III is the upper end of the native range going from 25600 to 32000, a very minimal difference. Increasing resolution adds an engineering challenge from a pixel-level noise perspective, so the Mark IV has this consideration. The 5D IV’s noise performance is discussed in detail below. A first-seen and very unique 5D IV image quality improvement is the utilization of the Dual Pixel CMOS AF system to capture Dual Pixel Raw (DPRAW) files. When this feature is enabled, data from each side of each dual pixel pair is retained. And, with the parallax information available, additional still image pixel-level adjustments and refinements are made possible in Canon’s Digital Photo Professional image processing software (and potentially other third party software). From within DPP (Menu: Tools –> Start Dual Pixel RAW Optimizer or press Alt-D), the Dual Pixel Optimizer allows one (only) of three options to be applied. Image microadjustment allows the sharpness of the image to be slightly altered front to back. Bokeh shift makes it possible to reposition the viewpoint or foreground bokeh slightly (amount varies by orientation), potentially removing a subject obstruction issue. The third option, ghost reduction, helps reduce certain types of aberrations and flare. Dual Pixel Raw changes were said to be subtle but perceptable, with more perceptable changes able to be made with wider apertures in use. Also, it was expected that normal focal length (approximately 50mm) and longer lenses would work best with DPRAW, though bokeh shift can be effective at wide angles as well. Putting Dual Pixel RAW to the test: In the Dual Pixel RAW Optimizer with a 60mm f/2.8 image loaded, tick the Image Microadjustment checkbox and watch the in-focus details become sharper with the default Strength slider position (“5”) and no Back/Front adjustment dialed in. 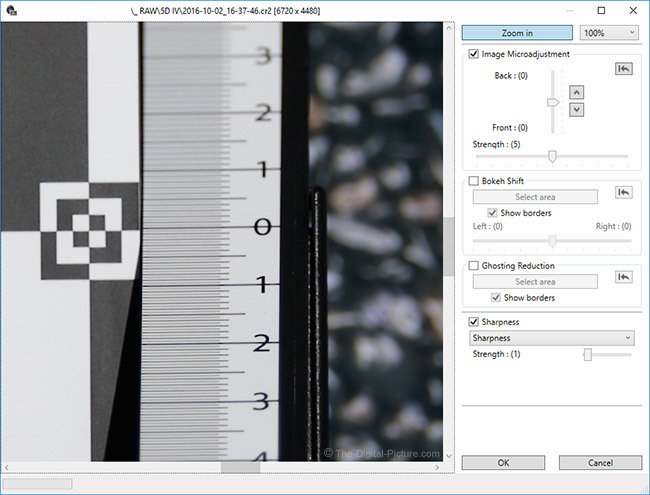 While sharper is usually good, in this case, the sharpening is coarser than a roughly-equivalent +2 sharpness setting. Reduce the strength to “0” to eliminate this sharpening. Unfortunately, with strength set to “0”, the benefits of Image Microadjustment are essentially eliminated. Return the Strength Slider to the “5” position and begin making Back/Front adjustments. You will see the image’s sharpest details become noticeably softer and the foreground or background details take on better definition – though I would not call them sharp. For those familiar with the softening effects of diffraction that come along with the increased depth of field of very narrow apertures, the Image Microadjustment will seem similar. There is a penalty paid (softer overall image quality) for the increased sharpness of out of focus details. Canon included the Sharness setting in the Dual Pixel RAW Optimizer and by increasing the image’s Sharpness setting by about 2, the overall image becomes reasonably sharp without significant detail destruction becoming apparent. Increasing the Image Microadjustment Strength setting (up to as high as 10) makes the Back/Front adjustment more apparent. Canon suggested that the Dual Pixel RAW Optimizer would work best with wider apertures. Load the same 60mm image captured at f/8 and the ability to positively affect Back/Front changes practically disappears, though the softening effects remain. The light received by each half of the pixels is apparently not dissimilar enough to allow for adjustments. With an f/5.6 image, only very slight adjustments can be made and at f/4, you might find making adjustments to be worthwhile. Canon also suggested that the Dual Pixel RAW Optimizer would work best with normal focal length and longer lenses. I of course wanted to see how 24mm landscape images would respond to this processing. While I could see a modestly out of focus background in a 24mm f/2.8 image respond to the optimization, the overall degradation easily surpassed any benefits realized from this adjustment. If longer focal lengths and wider apertures respond best to DPRO adjustments, Canon EF 200mm f/2L IS USM Lens images should excel in this tool, right? Well, not necessarily. With a relatively close focus distance, the maximum Back/Front adjustments seem very slight and not worth the increased softness. Narrow the aperture to f/2.8 or f/4 and the adjustments take on more significance. Move back and the f/2 adjustments seem more noticeable. I find the Bokeh Shift adjustment interesting. Bokeh Shift allows foreground and background subjects be slightly shifted left-to-right in relation to the in-focus subject. Did a blade of grass blow in front of the eye of your subject? You may be able to move it slightly left or right. Bokeh Shift adjustments can be isolated within a rectangular selection. I’m not sure that I have found the right scenario to make the Ghosting Reduction adjustment create an image improvement. I do see some reflections being reduced, but increased bokeh harshness appears to be a side effect. As with Bokeh Shift, Ghosting Reduction adjustments can be isolated within a rectangular selection. With a near-infinite number of subject/scene, lens and aperture combinations available to feed the DPRO tool, it is impossible to test all possible scenarios. But, I want to share a selection of adjustment results on a sample image captured at 60mm f/2.8. Images were processed using the Standard Picture Style and, unless otherwise specified, a Sharpness setting of “1” was used. Obviously, not all available adjustments are shown above (including the front microadjustment options). While I find the Dual Pixel Raw optimization feature very intriguing, I’m not ready to declare it a must-have feature. Note that, with twice the information being captured with DPRAW enabled, file sizes increase by a factor of 2, the high speed burst buffer capacity is significantly reduced and the high speed burst rate is impacted. What Canon has not talked about is the potential for increased dynamic range being available from Dual Pixel RAW files. It seems that, if partial exposures are being captured by the Dual Pixel RAW system, the potential exists for very significant highlight recovery beyond what is already available. I shoot in RAW format nearly 100% of the time, but for those that do not, having lens corrections available in-camera is a very positive benefit. Lens corrections available in the 5D Mark IV during image capture are peripheral illumination, chromatic aberration, distortion and diffraction along with DLO (Digital Lens Optimizer). The latter has only been available in DPP (or in-camera during RAW processing) since this camera model introduction. Note that DLO enabled will slow down processing. With a 5D Mark IV in hand, photographing the enhanced ISO 12233 chart was one of the first tasks performed. From these results we can begin comparing cameras. Two comparisons I wanted to see are the EOS 5D Mark IV vs Mark III and the EOS 5D Mark IV vs 5Ds R. As expected, the 5D IV shows noticeably more resolution than the 5D III and not as much as the 5Ds R.
While the 5D IV’s resolution upgrade promised to be substantial, a higher density imaging sensor higher resolution often translates to more noise at the pixel level. Thus, I was quite anxious to see how the new sensor performed in terms of noise. 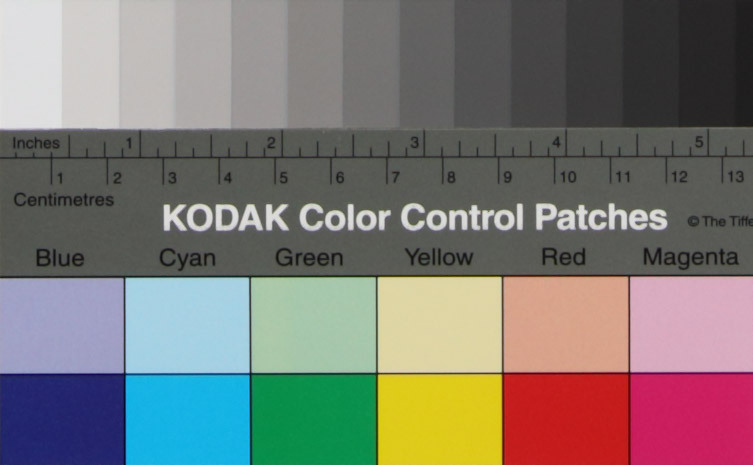 I am likely unique in that my first 5D Mark IV subject was a color test chart. I know, how boring. While I didn’t really care about the subject or the resulting images, it was what they revealed that made me so anxious to shoot the charts – several hundred times. Sensor technology improvements (including onboard circuitry) implemented by sensor seldom show up on a specifications chart, but they do show up in pictures of color chart. Important to understand is that the site’s “Standard” color block noise test results include no noise reduction – a key factor that may cause the results to appear dissimilar to those seen elsewhere. Since noise reduction can be applied to any images during post processing, what matters most to me (what differentiates cameras) is how clean the base/RAW images are. While noise reduction can improve an image, noise reduction can be (and usually is) destructive to fine detail. My strategy is to apply light noise reduction only when needed and I do this only during post processing of RAW images. When using the comparison feature of the site’s camera noise tool, let your eyes tell you the results. The even colors found in these test charts makes noise very apparent relative to most real life subjects as detail in a scene will far better hide noise. If you can’t readily pick out the difference in any color block comparison, it is unlikely that you will be able to recognize the difference in real world results. The base ISO setting (ISO 100 with the current EOS models) is always my preferred setting for low noise. Not all situations accommodate ISO 100 and the 5D IV provides 10 stops of higher light sensitivity settings for those situations in addition to 1 stop lower, extended ISO 50. The two highest ISO settings are also referred to as extended, with H1 and H2 referencing ISO 51200 and 102400. ISO settings between 100 and 32000 are available in 1/3 stop increments with the extended ISO settings being available in full stops only. Noise increases as ISO settings go up, but … Canon’s current full frame sensors deliver extremely clean images and the 5D IV is especially impressive in this regard. At ISO 800, noise is just becoming perceptible in smooth colored areas of the frame. By ISO 3200, you are going to notice some noise, though ISO 3200 images remain very usable to me. Noise levels at ISO 6400 and ISO 12800 are becoming more annoying, but … these images are still decent with some noise reduction added, especially when viewed at less than 100% resolution. When the stadium lights come on, you can expect to be reaching for very high ISO settings to stop action with an f/4 max aperture 600mm lens. The image below was captured at ISO 10000. While you cannot make out individual eyelashes in the full resolution image, noise reduction can make the image very usable at even moderately large sizes. By ISO 51200, noise levels are … ugly. Noise overwhelms the subject as the SNR (Signal-to-Noise Ratio) becomes low. Uses for ISO 51200 images are limited and that is still one stop shy of this camera’s highest setting. ISO 102400 sounds great and as I often say, marketing will surely capitalize on that “capability” (debatable), but that amazement will turn to bewilderment when you look at images captured at this camera’s highest ISO setting. Just because the feature is present doesn’t mean that you should use it. Perhaps the art crowd will find something about ISO 102400 images usable, but … I don’t see myself ever using it or the two settings below it. Explaining the CWB, AWB-White and AWB-Ambience results: For this test, Auto White Balance (AWB) is typically used for all of the results and with the White/Ambience Priority option now available, the White option is normally used. However, my initial 5D IV’s AWB produced a noticeably different color balance (magenta-toned) in this test conducted using daylight-balanced constant lighting. The flash-illuminated results from the resolution chart also required adjustment. The different color balance made the results hard to compare, so a Custom White Balance was used for all results not specified otherwise. AWB-White was used in-camera for all of the JPG results. I did some research regarding the magenta issue and was not able to find anyone sharing my experience – including Roger Cicala with his LensRentals.com fleet of this camera model. I had the camera replaced and the replacement performs excellently in this regard. One of the strong advantages of a Canon DSLR is the color they produce and I’m very happy to see this advantage continued in the 5D IV. Also note that the in-camera-captured JPG images utilized the default Standard Picture Style. Maybe someone can set me straight, but I don’t understand the oversharpening decision (look for the halos in this comparison with the sharpness set down to “1”). Perhaps this sharpening level makes a low-grade lens look better? There is definitely damage being done to image details in these results. However, this sharpness level appears more appropriate for high ISO images. With a stronger amount of sharpening being applied, I would expect noise to be emphasized. But, that is not the case. It appears that the in-camera JPG compression engine is better than the current DPP conversion in regards to noise levels (especially chroma noise levels). As ISO settings increase, so does the difference. My first though is that I must have inadvertently turned on High ISO Noise Reduction, but EXIF confirms that setting was disabled. That of course does not mean that Canon is not baking some noise reduction into the processing algorithm (which can also explain why the stronger sharpening looks better at high ISO settings). I like the lower JPG noise regardless and the sharpness settings can be adjusted to taste. Regarding high ISO noise, you can have smooth, or you can have detailed. Pick one. While not as black and white as that scenario implies, the amount of noise reduction applied to an image requires consideration of the overall concept. The amount of noise reduction ideally applied to an image is not necessarily directly dependent on the ISO setting alone. You may find that some subjects take noise reduction better than others. As a generalization, I prefer a low amount of noise reduction when higher ISO settings are used. I can typically notice a reduction in ISO 100 image sharpness when the Standard High ISO NR setting is selected (represented by the two “with NR” result sets), but … the difference in the 5D IV images is negligible. Even through ISO 800, I see very little detail being sacrificed to the noise reduction technology. The difference made by low noise reduction becomes quite noticeable by ISO 800, and increasingly so at higher ISO settings. Here is an ISO 6400 comparison. Notice how the letters and numbers remain similarly readable in the noise-reduced image as in the image without noise reduction. Browse through the other ISO settings, letting your eyes create your own opinions. All of Canon’s EOS cameras provide a wide range of noise reduction, sharpness and other image quality setting adjustments, enabling you to dial the results into perfection. That these settings can be adjusted in-camera is particularly important for those requiring compressed JPG format images right out of the camera (without using the camera’s own RAW image conversion capabilities). Multi-shot Noise Reduction (MSNR) is one of the additional in-camera options available in many of the latest EOS models including the 5D IV. MSNR merges information from multiple (four) exposures taken in a full-frame-rate burst into a reduced noise image. The concept makes a lot of sense. MSNR generally provides a remarkable one stop or more of noise reduction, but … I still have not found a compelling use for this feature. The downsides to Multi-Shot Noise Reduction include: MSNR is currently available only with JPG output (I would like to see this feature added to Canon’s Digital Photo Pro software for RAW capture processing – perhaps as another HDR preset). Multi-Shot Noise Reduction is not so useful with moving subjects (or with a moving camera). Long exposure NR, Dust Delete Data, Multiple Exposure and HDR Mode must be set to off to enable MSNR. The 5D IV reverts back to Standard NR in Auto/Basic zone modes, during video recording, in Bulb mode and when the camera is powered off. Flash is not supported in MSNR mode. After the 4 shot burst is captured, the camera remains “busy” for a noticeable period of time while processing the merged image. So, while this feature is a nice idea, its limitations make it less useful in real-world applications. I am far more likely to use a low ISO setting with a longer exposure when shooting stationary subjects from a tripod. A trio of “Standard Pushed * EV” result sets are provided to show how increasing RAW image brightness by one, two or three stops in post processing (in DPP specifically) affects the noise levels. Also provided in the noise tool are many “Exposed * EV” result sets for the 5D IV. These images were intentionally over or underexposed at capture and adjusted to the standard brightness during post processing. These results would be similar to getting the exposure wrong during capture, increasing brightness of shadow detail or recovering highlight details. In general, underexposing an image results in increased noise in the adjusted image and shadow details may be lost. The risk of overexposing an image is that highlight detail can be lost. While there is benefit to being able to pull out highlight and shadow details even in a properly exposed image, if I miss an exposure by 2 stops or more, I feel like I have failed my job as a photographer. The 5D IV results show that underexposing by 3 stops at ISO 100 will mean little additional noise in the results even without noise reduction being applied. The noise difference grows rapidly as the ISO setting increases. However, noise levels of an ISO 800 image brightened 3 stops appears similar to ISO 6400, the settings that perhaps should have been used in the first place. So, there is little penalty paid for underexposing here. As mentioned, overexposing an image has a very positive effect on noise levels, but once highlights become clipped, overall image quality suffers. Exposing to the right, overexposing so that the histogram chart moves to the right of the ideal final histogram, is beneficial as long as the highlight detail is not lost. I shoot with the low-contrast Neutral Picture Style selected in camera. This setting gives me a histogram on the camera’s LCD that best shows me the exposure latitude afforded me by particular scenes. Especially when shooting still or near motionless subjects, I set the exposure to be pushed toward the right side of the histogram, but not stacked against the right side (unless I determine that is needed for a particular scene). Exposures are corrected in post processing and, with the high SNR, images are optimized for overall quality. If there is movement in the frame, a faster shutter speed may be a better choice than modest overexposure and if shooting JPGs in-camera, the proper final exposure should be used. The decision to buy a camera usually comes with comparisons to other cameras. Perhaps the biggest group interested in the 5D Mark IV are 5D Mark III owners. Obvious is that the 5D IV holds a big resolution advantage and I mentioned that higher resolution sensors can show higher noise levels. However, impressively, I don’t see a difference in this comparison. By ISO 6400, the 5D IV is showing a considerable advantage that continues to grow through the higher ISO settings. Downsampling can improve noise levels and results are provided to compare the 5D IV to the 5D III at the 5D III’s resolution. With 17 result sets and 11 test results per image for the 5D Mark IV alone, the noise comparison toolholds hours of fun. Expected was that 30 megapixel files were going to be large and we were not let down. The following table shows comparative RAW file sizes for a photo of a standard in-studio setup with a moderately-high amount of detail taken with the referenced Canon EOS DSLR body. Canon RAW file sizes increase with: 1. Resolution 2. Bit Depth (14-bit is better/larger) 3. Detail (noise adds detail, so high ISO file sizes increase). Memory and disk are cheap – buy more. For an ISO 100 image, you can typically figure about 1.3MB in RAW file size per megapixel of resolution (or 2.6MB for Dual Pixel RAW files). Simply plan now for your storage requirements. Image files can be written to a CompactFlash (UDMA 7) and/or a SD/SDHC/SDXC (UHS-I) memory card. Some have expressed dissatisfaction that Canon did not choose a more-modern, higher transfer rate card type such as the CFast 2.0 option provided in the 1D X II, but this camera is a great value and the mature card formats supported are similarly so. I find the write speeds, with one of the faster available card models installed, quite adequate. Files can be written to both cards simultaneously (for redundancy) or sequentially (for increased capacity). Note that, for high demand applications including 4k video recording, Canon is recommending UDMA 7 CF cards with minimum sustained write speeds of 100Mbs or faster. Alternatively, UHS-I (not II) SD cards rated speed class 3 or higher are suggested. Note that some UHS-II SD cards may support only the slower of the two UHS-I modes when used in a UHS-I device. Complicating this selection is that the minimum write speed is not necessarily the number printed on the card and may not even be specified. Also note that, when SDXC cards or CF cards with at least 256 GB of capacity are used, the 5D IV switches over to exFAT file system and files are no longer limited to 4GB in size. Fast high capacity memory cards are not inexpensive, but alternative fast memory card formats such as CFast are not inexpensive either. Buy plenty of capacity and multiple cards. Rotate cards to maintain a backup set until, minimally, you are able to get the images safely into your formal backup strategy (that includes off-sight storage). With a 1 fps increase from its predecessor, the Canon EOS 5D Mark IV has a very respectable 7 fps high speed burst rate. While that is only half of 1D X Mark II’s rated speed, it is still reasonably fast. Very short is the IV’s 58ms shutter lag (as is the 86ms mirror blackout time). Important for capturing action at the perfect moment is that the camera responds immediately to the shutter press and the IV has this feature. The 5D IV’s new mirror technology improves the mirror blackout time, keeping the action visible a higher percentage of the time. The 5D IV’s frame rate was increased from the III, but the RAW buffer capacity did not receive as significant of an upgrade. If photographing action, the start of the ideal 3 seconds needs to be determined for the initial shutter release press. For a solid percentage of subjects, three seconds of capture is adequate and the 7 fps rate is a more valuable spec to me than the RAW buffer capacity. Of course, the 5D IV will capture JPG format images at rated speed until the card is filled (assuming an adequately fast card is used). To test the Canon EOS 5D Mark IV’s 7 fps drive mode and 17/21 (21 with UDMA 7 CF card) frame RAW file buffer specs, the camera was configured to use ISO 100, a 1/8000 shutter speed (no waiting for the shutter operation), a wide open aperture (no time lost due to aperture blades closing) and manual focus (no focus lock delay). The lens cap remained on (insuring a black file and the smallest file size) and a freshly-formatted fast memory card was loaded. The tested rates and capacities are about best-obtainable for the camera and card combination being used. Reducing any concerns about the buffer depth: using a Lexar 64GB Professional 1066x UDMA 7 Compact Flash Card (Max. Read/Write Speed: 160/155 MB/s), the 5D Mark IV captured 36 frames in 4.98 seconds to precisely match the rated speed and far exceed the rated buffer depth. In addition, with this Lexar card installed, additional frames continued to be captured at a 4.4 fps rate. If DPRAW capture is enabled, the frame rate using the same card drops to 4.9 and the buffer wall is hit at 9 frames. Subsequent frames are captured at a 2.2 fps rate. The larger-sized DPRAW images definitely impact performance in this regard. Smaller file sizes of course positively influence the buffer capacity. With mRAW selected, the 5D IV was able to capture about 43 frames until a very slight pause began to show after approximately every 4 frames, resulting in slightly less than 7 fps after the initial 43. Using a Lexar 128GB Professional 1000x UHS-II SDXC U3 Memory Card, the 5D Mark IV captured 21 frames in 2.85 seconds to once again match the rated drive speed and also match the UDMA 7 buffer depth rating. Using this card, the post buffer-filled frame rate was 1.6 fps. Using a Sony 32GB Class 10 UHS-I (SF32UX) SDHC Card (Max. Read/Write Speed: 94/45 MB/s), the 5D IV captured a respectable 24 frames in 3.28 seconds to again precisely match the rated drive speed and exceed the rated buffer depth by a few frames. Using this card, the post buffer-filled frame rate was 1.6 fps. So, the slower UHS-I card recorded a higher number of frames before filling the buffer than the faster UHS-II (not-supported) card. However, this card could only handle 6 seconds or less of 4k video recording. A friend of the site reports the SanDisk Extreme PRO 256GB UHS-I SDXC Memory Card delivering 30 RAW images from the 5D IV prior to it reaching buffer-full state. This card has rapidly become a very popular choice for 5D IV owners. These buffer capacities should be considered best-possible for the referenced cards and your in-the-field results will likely vary, but a fast memory card, especially a fast CF card, definitely makes a difference with this camera. Perhaps even more beneficial for understanding what can be done with this frame rate is to look at a visual example. Drag your mouse over the labels under the following image for a visual look at the 7 fps rate. Do you use your camera’s high speed frame rate mode? When photographing a subject than can move, I find myself using the high speed frame rate setting more frequently now than ever before. Subject with eyes blink (sometimes a lot). Even standing-motionless animals are moving – including those that chew their cud having awkward mouth positions a high percentage of the time. Insects, birds and other objects quickly move in and out of the frame The wind moves grasses into and out of ideal position. 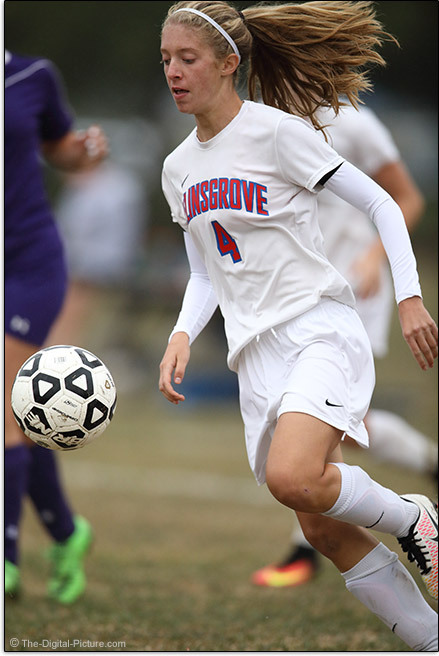 There are many additional reasons to shoot in high speed burst mode and faster is better (except when selecting down the keepers after a shoot). 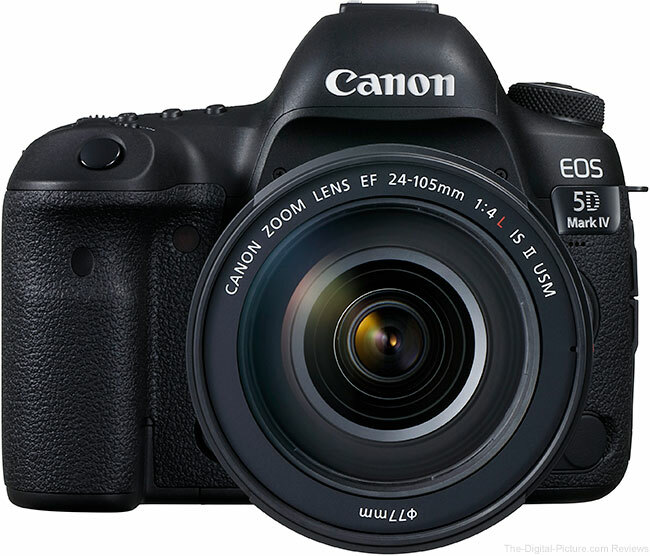 Following are links to MP3 files capturing “The Sounds of the Canon EOS 5D Mark IV”. Camera sounds are recorded using a Tascam DR-07mkII Portable Digital Audio Recorder with record levels set to 50% at -12db gain and positioned 1″ behind the rear LCD. The 5D III vs. 5D IV sound comparison illuminates the more-subdued sound of the 5D Mark IV. The silent modes are once again available, but … with the camera being quieter to begin with, the silent modes don’t seem as dramatically quieter in this camera. Live view shooting can be used to further minimalize the 5D Mark IV’s audibility. 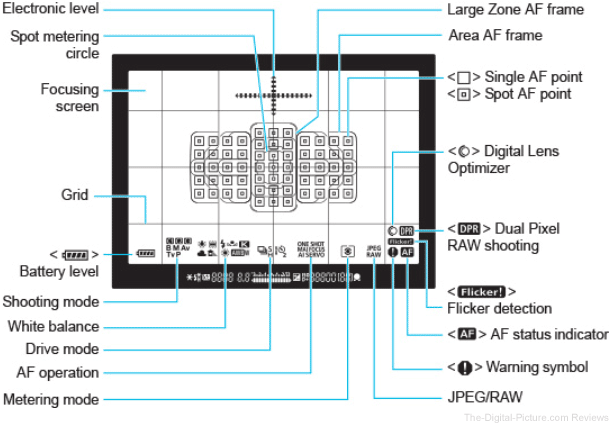 Unless using manual focus, the performance of the camera’s AF system is critical to realization of the ultimate image quality the camera is capable of. A camera’s image quality simply doesn’t matter if the subject is out of focus (with exception of intentional artistic blur effects of course). Of critical importance for most photographers, and especially for sports/action and wildlife photographers, is autofocus accuracy. To that end, the Canon EOS 5D Mark IV receives a new AF system featuring the same AF sensor found in the 1D X Mark II. Canon U.S.A.’s Chuck Westfall called the 1D X Mark II’s AF system a “massive upgrade” featuring “much improved performance”. It was hard to believe that the 1D X Mark II’s new 61-point High-Density Reticular AF II system was going to be substantially better than its predecessor, but … it definitely was. The 5D Mark III’s AF system was similar to that camera’s predecessor, the 1D X, so I strongly expected to see the 5D IV’s AF performance to also be improved. One of the great features of this new AF system is the AF point spread. 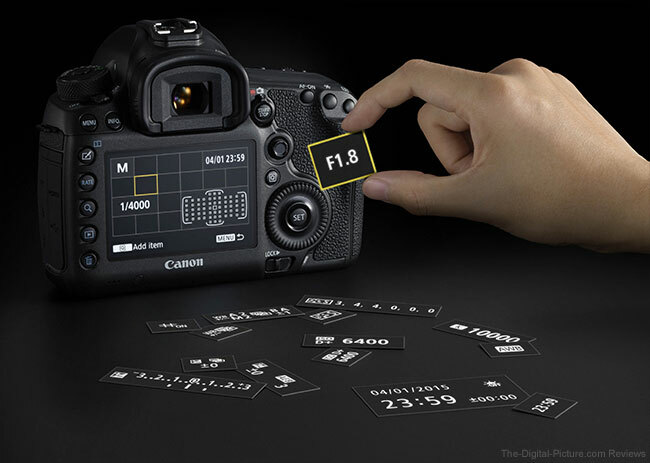 The 1D X, 5D III, 5Ds and 5Ds R share the 1D X II and 5D IV’s AF point count of 61, but the AF point spread as seen in the viewfinder makes it clear that this is not the same system. The top to bottom measurement of the AF points has increased 24% in the left and right-most AF point groups and 8% in the central group. A greater AF point spread is extremely helpful when tracking a subject in motion, often permitting more-ideal framing while holding a focus point on the subject and the subject’s eyes specifically (if the subject has them). In the above image, the bull elk was in-constant-motion, feeding toward me. I held the bottom-left AF point in the center group just above the elk’s eye. 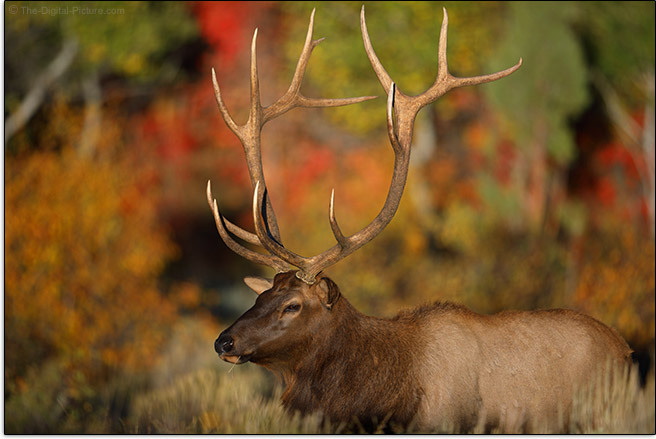 If the AF spread was any less, clipping the top of the antlers would have been the likely result without a focus-and-recompose technique that would have been very challenging with this scenario. Another 5D IV improvement is the 1 stop better low light AF capability, now rated to EV -3 in One Shot mode. Being able to focus in 1/2 as much light as with the 5D III should not go un-noticed by those shooting in light-starved venues, especially wedding and event photographers. The identically-rated 1D X II’s center AF point focused on a label (with the necessary contrast) in light levels calling for a 20-second exposure at f/2.8 and ISO 200 using the Canon EF 24-70mm f/2.8L II USM Lens and the 5D Mark IV matched this performance. I could barely see the label. The light level at the subject was too dark for my Sekonic Litemaster Pro L-478DR Light Meter to measure with the limits of this meter being reached about 1/3 of the distance from the light source (a cracked door in a dark room) where a .63 LUX reading, equivalent to -2 EV ISO 100, was taken. Do not expect AF to be fast at this extremely low light level, but simply being able to focus at all is impressive. 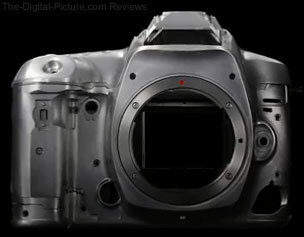 Note that individual 5D IV AF points do not light up red as in the 1D X Mark II. Especially important to wildlife photographers is that the 5D IV supports AF with f/8 max aperture lens combinations (a lens plus an extender) at all 61 individually selectable points with all 27 central AF points providing cross-type AF support. Version III extenders are required for this functionality and most current lenses are fully supported, though there are some limitations as noted in the manual. 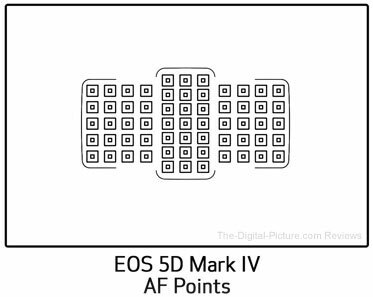 The Canon EOS-5D Mark IV’s AF Area options are Spot AF (reduced size single point), Single-point AF, AF Point Expansion w/ 4 points (single point plus 4 surrounding points in “+” configuration), Zone AF (single point plus all 8 surrounding points), new for the 5-Series Zone Large AF (a large group of center, left, or right AF points) and Auto AF point selection (all 61 AF points active). The improved part of the 5D IV’s AF system comes from the 150,000-pixel, 252-zone RGB+IR Metering Sensor. The 5D III has an iFCL (Focus, Color and Luminance) 63-zone (9×7 grid), dual-layer ambient/flash metering sensor with one layer sensitive to red/green only and the other layer being sensitive to blue/green only. The 5D IV’s 150k-pixel full RGB plus IR-sensitive metering sensor features EOS iTR AF (Intelligent Tracking and Recognition), working in conjunction with the AF system (and a dedicated processor) to recognize faces and also detect colors and shapes for improved AF point auto selection and greater AF precision. Using color along with face recognition technology to help track subjects within the selected AF Area while in AI Servo AF mode, the iTR system makes a noticeable difference when trying to track specific subjects including people’s faces, yellow tennis balls and other subjects. Perhaps the biggest downside to enabling iTR is the potential for a slightly reduced max frame rate. The iTR technology is not available in Live View mode (the raised mirror blocks the iTR sensor in the viewfinder), but Live View has its own face tracking technology that also works very well. Again, this is not Canon’s first DSLR to utilize the iTR technology, but it is a welcome addition to the 5D III’s replacement. As with Canon’s recent pro-grade EOS cameras, the 5D Mark IV’s AF Configuration Menu permits significant configuration of the AF system’s tracking sensitivity, acceleration/deceleration tracking, and AF point auto switching. The depth of configurability is quite impressive, though the default, Case 1: Versatile multi purpose setting, works very well in most common situations. A properly AF-calibrated camera/lens combination is a requirement for accurate autofocus and as already discussed, the 5D IV has the ability to fine tune AF calibration. Up to 40 lenses can be specially calibration-adjusted to the 5D Mark IV with automatic (or optionally, manual) detection of the serial number of the mounted lens and multiple copies of the same lens can be differentiated. This latter feature is not going to mean much to most individuals, but it can mean a lot to agencies, schools, rental houses and other organizations that have a large pool of cameras and lenses available. Separate AF Microadjustment settings are available for both the wide angle and the telephoto focal lengths of zoom lenses. Originally introduced with the EOS 70D, later implemented in the EOS 7D Mark II, arrived in the 1-Series in the 1D X Mark II and now found in the 5-Series is Canon’s Dual Pixel CMOS AF. Dual Pixel CMOS AF utilizes the imaging sensor for fast and precise phase detection AF when the mirror is raised, such as in Live View or during video recording (Movie Servo AF). Each pixel on the sensor does double duty, providing information needed for phase detection AF while performing its primary color and brightness detection function. Canon’s DPAF was updated with the 1D X II (twice as fast performance as the versions found in its predecessors). While still not quite as fast as the conventional phase detection AF system, the 1D X II’s DPAF system trails by only a very small amount. The 5D Mark IV’s DPAF performs similarly. While the fast, accurate phase detection system featured in the latest Canon EOS DSLRs is impressive, the focus technology used by this camera’s Dual Pixel AF system is also very impressive. With touch screen LCD capabilities, the 5D Mark IV permits the LCD to be touched on the subject and the camera immediately focuses on and then quickly tracks that subject (in Face+Tracking mode) around in the frame. This technology is especially useful for video recording, allowing subjects to be tracked around the frame and allowing a different subject to be easily selected and tracked. The 5D IV’s Dual Pixel CMOS AF covers approximately 80% of the sensor area and is compatible with most EF lenses and lens combinations with a max aperture of f/11 or wider. While most lenses will change focus relatively smoothly while recording video, the built-in microphone picks up lens focusing sounds very clearly as they make quick, short focus distance adjustments. The clunking sounds picked up by the camera’s mic are harsh and unacceptable for movie audio (an external mic is needed). STM lenses (though not the pancake-style STM lenses available at review time) provide a much better video AF experience, especially from an in-camera sound perspective. At review time, the only full frame compatible non-pancake option is the Canon EF 24-105mm f/3.5-5.6 IS STM. There are many applauding the DPAF technology arriving in the 5-Series. I’ve lost count of the number of different Canon EF lenses I’ve used on the 5D IV to date, but all have performed very well in one-shot AF mode. This mode isn’t nearly as challenging to the camera as tracking a moving subject in AI Servo mode, but it still a very important capability. Predicting the distance of perfect focus on a fast-moving subject at the precise moment the shutter opens in AI Servo AF mode is one of the biggest challenges for AF technology and AI Servo AF accuracy testing is one of the most-difficult camera tests to perform. Multiply the infinite combination of lighting (amount, size and spectrum), environment (temperature, humidity, air clarity) and subjects (color, contrast, size, shape, speed and direction) possible by the wide range of configurable AF settings and it becomes clear that exhaustive testing of AF performance is simply not a realistic endeavor. In the few weeks I’ve had the 5D Mark IV in my hands, I’ve captured nearly 10,000 images in AI servo mode. Subject have included runners, soccer players and wildlife (elk, mule deer, pronghorn, bison, moose and more). Lighting conditions have included bright mid-day sun (when heat wave distortionhas been problematic), intermittent cloud cover, heavy overcast skies, rain, snow and stadium lights at night. Overall, I’m very happy with my 5D IV results. I still give the AI Servo performance edge to the 1D X Mark II, but the difference I’m perceiving is only very slight. 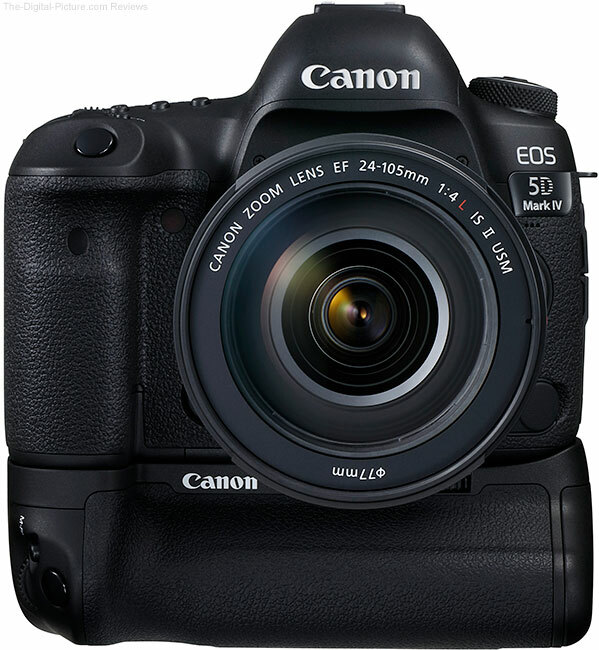 The 5D IV is performing among the best-ever EOS DSLRs. Canon USA’s Rudy Winston said that his favorite 5D Mark IV upgrade is the AF system. The Canon EOS 5D Mark II made a huge splash in the DSLR industry with the introduction of full frame, Full HD (1080p) video recording. 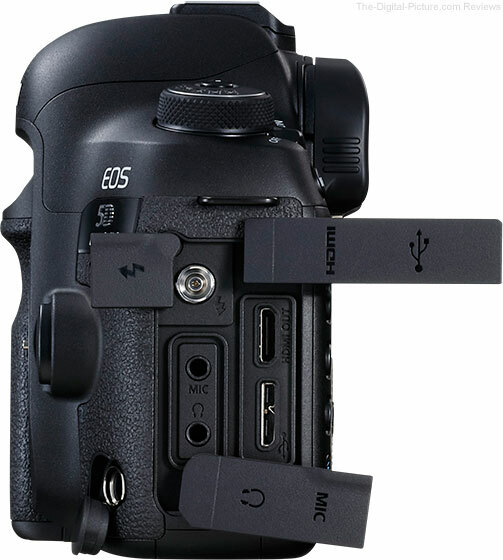 The 5D Mark III refined the video recording experience with the addition of a headphone jack, the ability to set audio recording levels and a dedicated video record button. Naturally, improving upon the 5D III’s video recording capabilities was a high priority for Canon. Roughly seven months after the EOS-1D X Mark II’s introduction, the 5D Mark IV became Canon’s third DSLR to feature 4K video recording and their second full frame camera with a Dual Pixel CMOS sensor. Higher resolution video recording (like 4K) makes accurate, smooth focusing more important than ever and focusing during video recording is always a primary challenge. Canon’s Dual Pixel CMOS sensor was designed to alleviate the issues associated with manual focus tracking. Like the EOS 7D Mark II, the 5D IV’s Movie Servo AF can be customized (sensitivity and speed) to suit one’s needs. Movie Servo AF options are the same as for Live View – Face Detection with Tracking, FlexiZone Multi, and FlexiZone Single. Note that speed and sensitivity customization options are limited to FlexiZone Single mode. DSLRs featuring Canon’s DPAF track subjects very well and the 5D IV’s DPAF system seems to at least equal to the performance of the 1D X II’s DPAF system. Note that High Frame Rate movies will be played back at 29.97 fps, or 1/4 speed. Movie Servo AF and sound recording are not supported during High Frame Rate capture. Recording file types include .MOV for both 4K (Motion JPEG, Audio: Linear PCM) and Full HD (MPEG4 AVC / H.264 variable [average] bit rate, Audio: Linear PCM) with an additional option of .MP4 format in Full HD (MPEG4 AVC / H.264 variable (average) bit rate, Audio: AAC). 4K videos are encoded in the Motion JPEG (MJPEG) standard with ALL-I and IPB and IPB (Light) encoding available in Full HD .MOV and .MP4 formats, though the availability of these options depends on the specific file type and frame rate selected. 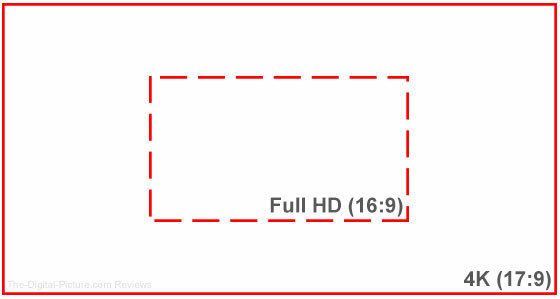 New to the 5D-series is an HDR Movie feature available in when shooting at FHD 29.97/25.00p (.MOV or .MP4). With HDR Movie mode enabled, the camera reduces clipped highlights allowing for a higher dynamic range to be captured in scenes with high contrast. To accomplish this, the video is recorded at twice the selected frame rate using an alternating brightness that becomes blended for the final result. This feature works. It is easy to record the same high dynamic range scene with and without the HDR Movie feature enabled and see the highlights nicely retained with a natural appearance. Of course, the biggest video feature upgrade in the 5D IV is the ability to record DCI 4K (17:9) video. The value of being able to record 4K video cannot be understated, even if your typical output is only Full HD 1080p. 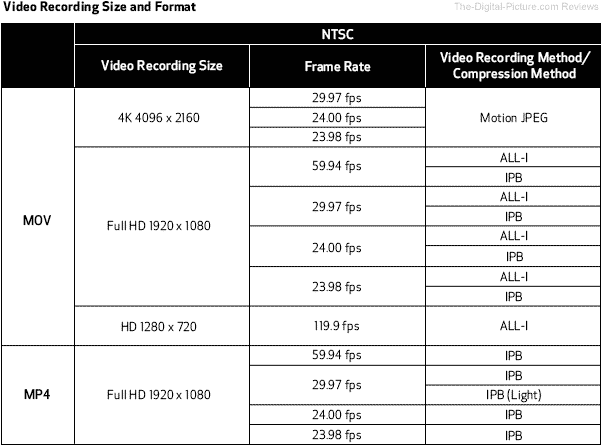 The additional resolution captured in 4K recording is substantial. The illustration below demonstrates the difference between Full HD and 4K resolutions. Of course, creating 4K content is the primary benefit of purchasing a 4K-capable DSLR. 4K video offers more than 4x the resolution of Full HD, allowing for beautifully sharp and detail rich movies that will remain impressive on resolution-hungry devices. A fast CompactFlash memory card is strongly recommended for 4K video recording. Be aware that the 5D Mark IV does not use the entire frame when recording 4K video. Instead of converting the full resolution sensor data to 4K output via downsampling, the camera utilizes the central portion of the frame (the area covered by 4096 x 2160 pixels) to capture the one-to-one pixel ratio needed for 4K video. The equivalent crop factor for focal lengths used in 4K recording is 1.74x. That means that a 50mm lens used for recording 4K videos will provide the same angle of view as an 87mm lens from a full frame angle of view perspective. Unfortunately, ultra-wide angle filming is sacrificed as the outer edges of the frame go unused and the shallowest-possible depth of field is forfeit due to longer focus distances or wider angle focal lengths being required. Another benefit of 4K video results from the way the files are encoded – Motion JPEG, or M-JPEG. In MPEG4 encoding (typically utilized in DLSRs), key frames are identified and the changes that occur in subsequent frames are recorded. The benefit of MPEG4 is that file sizes are relatively small. 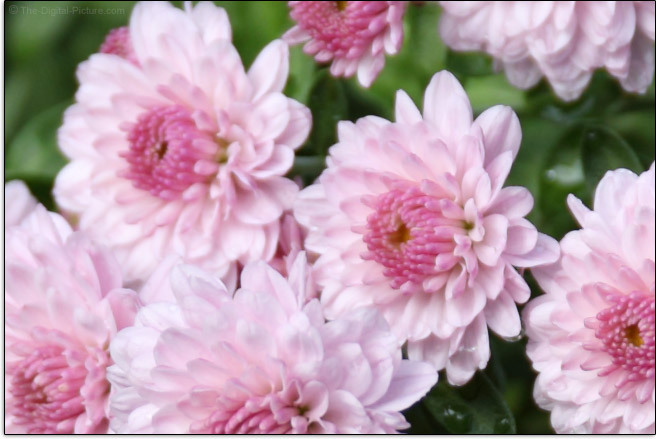 In M-JPEG encoding, however, each individual frame is separately compressed into a JPEG image. The benefit of this format is that you can grab a high quality still image from any frame in a 4K file and save it as a separate image file in-camera. This allows a photographer select the precise moment for the still image selection with a relative burst rate equal to the video frame rate, a selection that traditional burst sequences could easily miss. In other words, the 5D Mark IV is able to capture 8.8 MP still photos at 30 fps compared to 30.4 MP photos at 7 fps with traditional burst shooting. The downside, of course, is that M-JPEG encoded 4K movies require a significant amount of storage space and time is required to isolate the best frames (capturing the JPG in-camera is easy once selected). Note that the captured JPG image is in the recorded aspect ratio (not 3:2). Clean, uncompressed Full HD output is available over the camera’s HDMI port and the 5D Mark IV does not support 4K output via HDMI. Audio can be recorded via the camera’s built-in microphone or via a 3.5 mm stereo microphone terminal-attached mic (as noted, audio is not recorded when HD High Frame Rate is selected). A headphone jack with audio level controls is provided for audio level monitoring. Creating compelling 4K content is easier than ever, but the full potential is of course up to your skills and creativity. Realizing the full benefit of the 4k output requires a display/TV and/or computer with the required resolution and power to display it. Aided by the same 150,000-pixel, 252-zone RGB+IR metering sensor found in the 5Ds, the 5D Mark IV shows improved calculations over its predecessor and though I usually use manual exposures, as AE systems improve, I am relying on auto exposure at a slowly increasing rate. As mentioned, color and luminance information gathered from this sensor is algorithmically combined with information from all AF points (selected and otherwise) to determine proper exposure. Note that AF point-linked spot metering is not provided. Like the 5Ds, the 5D IV inherits Canon’s excellent Anti-flicker mode first seen in the 7D Mark II. If you have ever photographed under flickering lights, such as the sodium vapor lamps especially common at sporting venues, you know what a problem that type of lighting can cause. One image is bright and the next is significantly underexposed with a completely different color cast. The bigger problem occurs when using fast/short action-stopping shutter speeds under these lights. In the top half of the following example are 8 consecutive frames captured in a 10 fps burst from the 7D II with a 1/1000 second shutter speed. The subject is a white wall and the lights are fluorescent tubes (I had to go all the way to my basement to find these two sets of four 4′ fluorescent tube lights). All images were identically custom white balanced from the center of an optimally-timed image. What you see is the frame capture frequency synching with the light flicker’s frequency to cause a different result in almost every frame. The 5D IV’s frame rate will be 70% as fast as this example, but the effect is similar. The killer problem with these images is that the entire frame is not evenly affected, making correction a post processing nightmare. The cause of this problem is that, at fast/short shutter speeds, the flicker happens while the shutter curtain is not fully open. Because the shutter opens and closes only in the up and down directions (with camera horizontally oriented), the area affected runs through the frame in the long direction regardless of the camera’s orientation during capture. When the flicker-effected area is fully contained within the frame, the amount of area affected is narrower at faster shutter speeds and wider with longer shutter speeds. In this light flicker test, I shot at 1/500, 1/1000 (as shown) and 1/2000 seconds. The 1/500 second test showed approximately 2/3 of the frame severely affected at most, but the 10 frames captured around the most-effected frame had various amounts of one frame edge strongly affected. As you would expect, the 1/2000 second test showed an even narrower band of the flicker’s effect running through the image (a smaller slit of fast-moving shutter opening being used), but … I’m guessing that there are not many venues with flickering-type lighting strong enough to allow use of this shutter speed at a reasonable ISO setting. The 1/500 and 1/1000 settings are more real world settings. The bottom set of results show off the Canon EOS 7D Mark II’s (and now 5D IV’s) awesome new Anti-flicker mode. 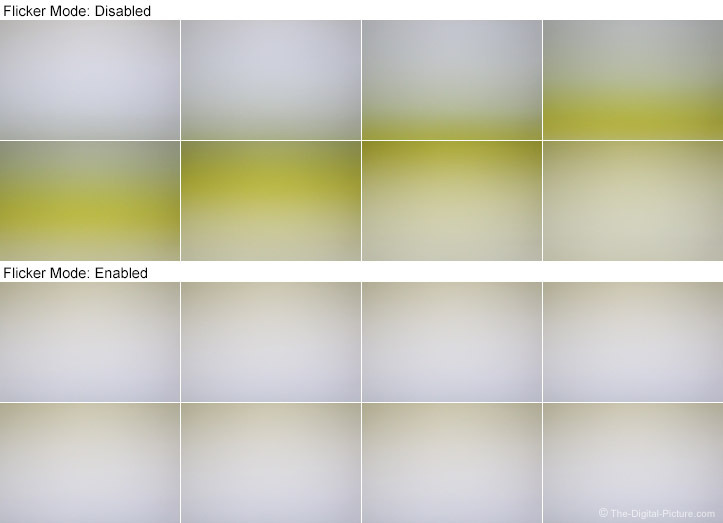 The only difference in the capture of the second set of images was that Anti-flicker mode was enabled. These were a random selection of 8 consecutive frames, but the results from all Anti-flicker mode enabled frames were identical regardless of shutter speed tested. I’m not going to say that these results are perfectly-evenly lit, but … they are dramatically better than the normal captures and you will not see the less-than-perfectly-even lighting in most real world photos without a solid, light-colored background running through the frame. Tests from the 5Ds were similar to the 7D II results. When enabled (the default is disabled), Flicker Mode adjusts the shutter release timing very slightly so that the dim cycle of the lighting is avoided. In single shot mode, the shutter release lag time is matched to the light flicker cycle’s maximum output. In continuous shooting mode, the shutter lag and the frame rate are both altered for peak light output capture. Shutter lag can be affected, making the camera feel slightly less responsive and the max high speed burst rate is reduced slightly to about 6.6 fps. The 5D IV is able to work with light flicker occurring at 100Hz and 120Hz frequencies. When such flicker is detected but flicker mode is not enabled, a flashing Flicker! warning will show in the viewfinder. The FLICKER warning shows solid when a flicker is detected and the camera’s setting is enabled. Since the viewfinder’s metering system is required for flicker detection, this feature is not available in Live View mode (due to the mirror being locked up). The mirror lockup feature is also disabled when Anti-flicker mode is enabled. Also, note that Flicker mode may not work perfectly in all environments. Canon’s Anti-flicker mode really is a game changer – it is going to save the day for some events. As I’ve been saying, this feature alone is worth the price of the camera upgrade for some photographers. 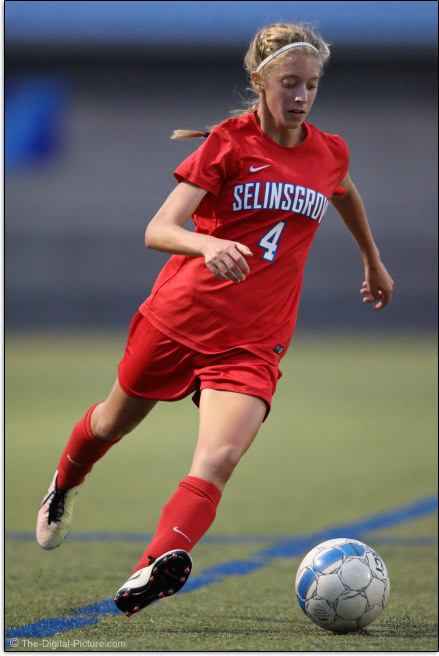 I photographed soccer games under flickering lights at two different stadiums and the results are very consistently lit. This technology works very well. An Auto White Balance improvement provided with the 5D IV is “White Priority”, now available in addition to the only previous option, “Ambience Priority”. For example, when using Ambience Priority under tungsten lighting, the camera sets a white balance that leaves some of the warm color in the image. If White Priority is selected, the image is rendered more neutral in color. I love the big, bright all-glass pentaprism 5D-Series viewfinders, showing a 100% view of your composition and the 5D IV gets the same. The 5D IV’s intelligent viewfinder optionally superimposes a range of shooting information (exposure, white balance, metering, drive, image quality and AF modes) and shooting aids including a dual-mode electronic level display and grid. While that display is looking rather cluttered, not all information is typically being displayed at once and a majority of the aids can optionally be turned off for a customized view. My favorite addition to the viewfinder LCD (from the 5D III)? It has to be the dedicated electronic level indicator, showing up to 360° roll and ±10° pitch in 1° increments. Precision has a margin of error of up to 1° for ±10°, and up to 3° for ±45°. Of course, the electronic level can be alternatively displayed on the rear LCD where it indicates up to 7.5° roll left/right and ±4° pitch in 1° increments. Precision remains the same. Even though the Canon EOS 5D Mark IV is a completely redesigned camera, it is hard to tell from an ergonomic perspective. Change to the 5-Series camera ergonomics does not come quickly – nor does it need to. Years of refinement have left us with a great product designed to work the way we need it to. Because they share similar designs, the 5D IV, 5Ds, 5Ds R, 5D III and 7D II can be used nearly interchangeably without rethinking where needed functions are located. And, there is little retraining needed to upgrade to the 5D IV from one of these cameras. On my referenced Idaho and Wyoming photo trip, I was using a pair of 5Ds R bodies aside the 5D IV and … had a hard time knowing which I was actively using. Canon’s great ergonomics are one of the many reasons I use Canon brand cameras in the first place. I can tightly grip EOS bodies for long periods of time without pain in my hands/fingers and the buttons/switches are logically provided/positioned. That the 5D IV does not appear to depart from other recent body designs is an especially positive feature to me. In the following comparison images, you will see that the 5-Series bodies are the largest non-integrated-grip Canon DSLR available, but they are only very slightly larger than the 7-Series bodies. Add the optional BG-E20 Battery Grip and the 5D IV becomes similar to Canon’s largest current DSLR, the EOS 1D X, in size. Here are some of Canon’s most recent DSLR cameras compared from the back. With the Mark III, Canon moved the power switch from just below the rear control dial to the top left. I was not thrilled with this move initially, but have grown used to this placement and now do not even think about it during use. With the power switch moved to the top of the body, the rear power switch became a menu-configurable Main Dial/Multi-controller lock (this switch changed positions slightly). I do appreciate the power switch and controller lock now being separate switches. Previously, I occasionally did not get the combined power/lock switch rotated far enough to unlock the dial which causes some confusion until I determined what was wrong. Moving up from the lock switch, the Rear Control Dial retains the slightly reshaped style from the III. The “Q” button was introduced to the 5-Series with the III, and while it appears identical, new functionality was introduced with the 5Ds and carried over to the 5D Mark IV. Pressing the Q button while in shooting mode will bring up the Quick Control Screen where camera settings can be accessed and adjusted quickly and easily without having to use the menu or look at the top LCD panel. Pressing the Q button while in playback mode will present an overlay with applicable options – including RAW processing options. Software exposure compensation, white balance, Picture Style, Auto Lighting Optimizer, High ISO NR, Color Space, Peripheral Illumination Correction, Chromatic Aberration Correction and the output dimensions and quality of the converted JPEG can be selected prior to processing. New with the 5Ds and now present on the 5D Mark IV is a Custom Quick Control Screen. Now you can determine what shows on your Quick Control Screen via the menu. The example below is taken from the 5Ds. Just above and to the right of the “Q” button is a new feature, the AF Area Select button. The 7D Mark II provided this feature in the form of a lever surrounding the Multi-Controller, but while the 5D IV’s button looks like it might slide, it is actually a button that gets pressed. Push it at a 45° angle up/right to toggle through the many available AF Area options. Is this button needed? The M-Fn button is the button I normally press for this function and it is very conveniently located next to the shutter release. Fortunately, if the new button’s native function is under-appreciated, it can be customized (like many other buttons on this camera) to something else such as initiating an ISO setting adjustment. Utilizing that suggestion has made this button quite valuable to me. Above the AF Area Select button is the joystick-like Multi-Controller, useful especially for selecting an AF point(s) or area. This feature has received a slight makeover similar to the 1D X Mark II’s Multi-Controller – very likely a positive change. The dedicated Live View/Video Start/Stop button, the next button up from the “Q”, joined the 5-series with the Mark III and remains similar aside from the mark and labels moving below, similar to the 80D. The EOS-standard AF-On, AE Lock and AF Point Selection Buttons round out the top right back of the camera. The left-side set of buttons provide easy access to functions using the left thumb and there are no changes here. The Delete, Playback and Magnify button functions are rather obvious. Included once again is the “RATE” button. Each press of the rate button adds a star (up to 5 stars) to the image. This rating is recognized even by non-Canon applications that include Adobe Lightroom. The next button up is the Creative Photo button. Pressing this button displays a menu with Picture Style, Multiple exposure and HDR Mode selections available along with their configuration options. The menu button lands in the top-left position (where it should be) and the Info button is beside it (also a good location). As usual, the LCD consumes the most back-of-the-camera real estate. The 5-Series cameras typically get a very high end LCD display and the 5D IV gets such. This is a 3.2″ (81.1mm), approximately 1,620,000 dot Clear View II LCD monitor with full touch-screen interface. Using the light sensor, the LCD can auto adjust to the ideal brightness of the ambient light, or can be manually adjusted to one of seven levels. The tone of this LCD display is adjustable (warm / standard / cool1 / cool2). That I can clearly see the histogram even in direct sunlight is of critical importance to me and this LCD covers this requirement. I sometimes think my images look better on the camera’s LCD than on my high end LCD display back in the office. 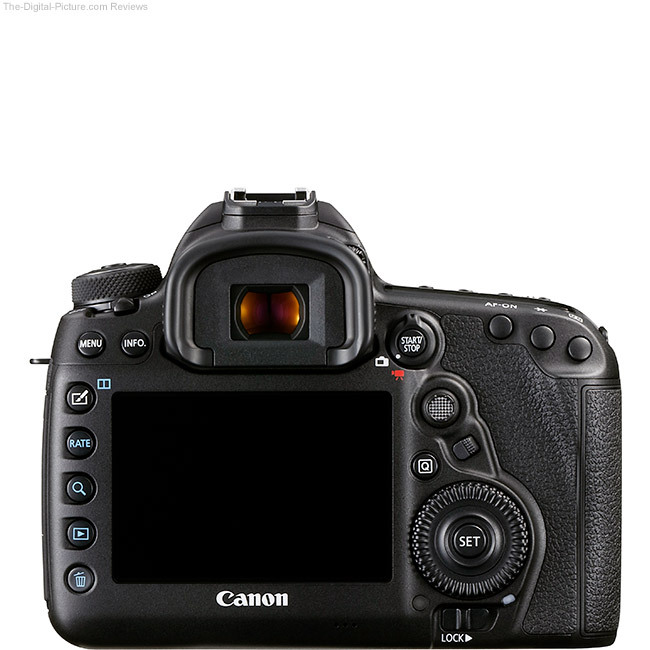 Why is there no Vari-Angle LCD on the 5D IV? According to my source at Canon, the Vari-Angle display can reduce the ruggedness of the camera’s design and has therefore been omitted on the pro-grade models. This answer apparently remains the case. The top of the 5D IV is basically the same as the top of the 5D III, which is similar to the 5D II. It is also essentially the same as the 5Ds, 5Ds R and 7D II. Again, that is good. Starting at the left, we find the already-mentioned power switch and the 5D IV’s locking mode dial containing a range of standard/advanced options. The Basic Zone pre-defined auto modes found on lower-end model DSLRs remain absent. While some of the camera-thinks-for-you modes are absent, even complete beginners are taken care of with the do-everything-for-you Scene Intelligent Auto mode (the green square A+ mode). This mode combines point and shoot simplicity with powerful artificial intelligence to deliver excellent results. “… Scene Intelligent Auto mode analyzes the image, accounting for faces, colors, brightness, moving objects, contrast, even whether the camera is handheld or on a tripod, and then chooses the exposure and enhancements that bring out the best in any scene or situation.” [Canon] The 5D IV now also enables the new light flicker avoidance capability in this mode when such is detected. The following Canon graphic provides a glimpse into the Scene Intelligent Auto mode as implemented on the 5D IV. These icons are shown in Live View mode when Auto mode is in use. Three custom shooting modes (C1, C2, and C3) are once again present. The C-Modes allow you to store a set of camera settings for quick recall. Setting changes made while in a “C” mode can be retained or discarded based on a menu setting. I love the “C” modes and use them very frequently. Check out my custom camera mode configuration page for more information. Continuing rightward across the top of the camera, we next find the viewfinder bulge with the standard hotshoe. There is no pop-up flash housed in this area – the 7D Mark II is currently Canon’s highest-end DSLR to feature a built-in flash. Without the flash, the camera can be made more rugged and better-sealed. A wide range of accessory flashes are available to meet lighting needs. The viewfinder diopter adjustment is the next feature to the right. I wear glasses much of the time, but usually leave them behind when photographing. My eyesight is not too bad and the 5-Series diopters easily adjust to give me a sharp view. Continuing to the right, we find the top LCD packed full of information and the now-standard set of buttons that provide quick access to the functions needed most frequently. The ISO button with its slightly different shape is especially easy to find with your eye to the viewfinder or when shooting in the dark. With that button referenced, the others are also easy to find. Two are on ends and the other is next to the ISO button. 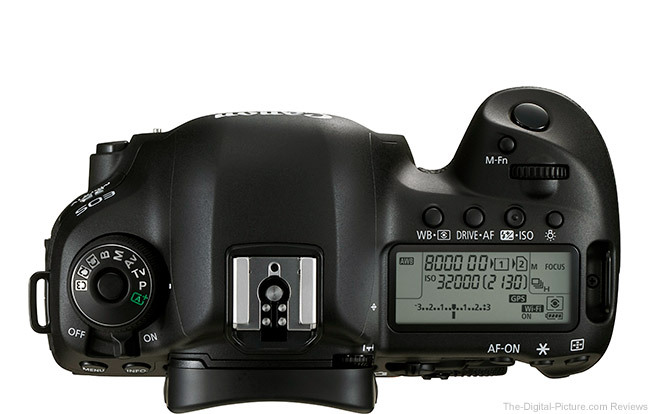 The 5D IV also gets the programmable Multi-function (M.Fn) button, located between the shutter release and the top dial. When AF selection is turned on, the M.Fn button changes between AF area modes. As mentioned, many of the 5D IV buttons can be reconfigured via the Custom Controls menu option and this is one of them. The ports available on the 5D Mark IV are, clockwise from top right, HDMI mini out (for playback), USB 3.0 Audio/video OUT/digital terminal, Cable protector socket (hidden behind cover in above image), headphones out, 3.5mm external microphone IN terminal and PC terminal. The upgraded USB port (from 2.0 to 3.0) is especially important for quickly moving large image files, including in computer-tethered Live View. A cable protector is included to ensure that this cable is not inadvertently removed. Squeezed out of the side port area is the N3 remote release port. You will notice this port now residing on the bottom-left front of the camera in the above product image. As this is my most-frequently-used port, I think this new location works great, especially when I’m using an L-bracket (which is nearly always). Canon’s 5-Series bodies are full-sized DSLR cameras. They do not have built-in battery/pro grips, so they are considerably smaller than the 1-Series bodies, but the 5D models are the largest DSLR in Canon’s lineup otherwise. Add a battery grip and they are practically equal to the 1-Series bodies in size. Though it may be the largest Canon DSLR otherwise, I don’t find these cameras oversized. Having a substantial grip surface to control the camera with is, in many cases, a very positive feature. The size is especially welcomed when using larger lenses including those in Canon’s super telephoto line. If a more-compact full frame DSLR is desired, the EOS 6D is the full frame camera to be considered. Even though the 5D IV retains a magnesium-alloy frame, it has shed a bit of weight (though not enough for most to notice). All of the 5-Series cameras have been very well built and I expect no exception from the IV. This is a very high quality DSLR built for the rigors of professional use. It is going to feel great in the hand with refined and time-tested ergonomics. The 5D IV has received improved weather sealing, now comparing similarly to the 7D Mark II in this regard (very good). While I recommend using a rain cover when dusty or wet conditions are expected, the unexpected happens a bit too frequently for me. As mentioned in the AF section of this review, I’ve been caught in multiple light rain showers (and a short-but-heavy snowstorm) while photographing sports events and wildlife with the 5D IV. 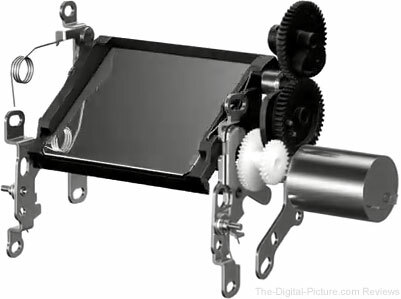 Another durability factor is the camera’s shutter assembly, a mechanical part that moves significantly and moves extremely fast every time a photo is taken. The 5D Mark IV gets the same 150k actuation durability-rated shutter as found in the 5D III and retains the fast 1/8000 sec capability. Most will find the 150,000 rating very sufficient. A first for the 5-Series, the 5D IV has built-in Wi-Fi and NFC capability, providing easy transfer of images and movies to compatible mobile devices using Canon’s free Camera Connect app. This app provides some remote control of the camera’s settings and shutter when shooting still images. Wireless remote printing to a compatible printer is also supported via Wi-Fi. The camera’s built-in NFC (Near Field Communication) allows quick and simple pairing to a compatible Android device, or devices that support NFC like the Canon Connect Station CS100 photo and video storage and sharing device. Common is for Canon’s latest EOS DSLRs to feature built in RAW conversion to JPG, complete with many adjustments available for doing so. Since I only shoot in the not-socially-friendly RAW format, this conversion allows immediate wireless transfer of images to my phone. Another first for the 5-Series is the 5D Mark IV’s built-in GPS. Geographic coordinates can (optionally) be recorded to image EXIF for later use including mapping functionality. Some agencies require this information. The camera’s date and time can automaticallybe accurately maintained via the GPS communications. First seen in the 7D Mark II and now found in the 5D IV is a built-in Intervalometer (interval timer) and bulb timer functionality. Interval timer shooting can be combined with AEB, WB bracketing, multiple exposures and HDR mode, but Live View shooting, bulb exposures and mirror lockup are not supported. As found across most of the Canon DSLR product line, a self-cleaning sensor promises to keep image as dust-free as possible. The self-cleaning sensor systems in the 5D Mark III and 5Ds /5Ds R have been performing exceptionally well and the 5D IV’s system appears to be matching this performance. With roughly 10,000 images captured with many lens changes made, I have not needed to clean the 5D IV sensor once (and I hate sensor dust in my images). As already mentioned and like all of the 5-Series bodies before it, the 5D Mark IV does not include a built-in flash. It is, however, compatible with all of Canon’s accessory flashes including Canon’s latest RF flashes. Flash settings can be controlled directly from the menu which includes an extensive range of controls for hot-shoe-mounted and remote flashes. The 5D Mark IV uses the LP-E6N lithium ion battery pack introduced with the 7D Mark II and also found in the 5Ds/5Ds R. The LP-E6N’s benefit over the LP-E6 is a slight increase in storage capacity – from 1800 mAh to 1865 mAh. The LP-E6N and LP-E6 batteries are backward and forward compatible with a wide number of camera and charger models. I love the simplicity of being able to share the LP-E6N batteries and chargers across my kit and also appreciate that I can take a single, small, direct-plug charger when traveling. The LP-E6N battery form factor is also great. Several of these small batteries easily fit in most pockets and they hold up for a considerable number of shots. The 5D IV’s battery rating is 900 frames, a very reasonable number that is just slightly lower than the 5D III’s 950 rating. Actual battery life is always highly variable based on factors such as drive mode, live view/video/GPS/WiFi use and temperature. Shoot in the high frame rate drive mode and you can expect to far exceed the factory rating. Shoot using live view in below-freezing temperatures and the factory rating will appear to be a fantasy. In general, I experience higher shutter counts per charge than the camera’s battery rating. The 5D IV provides a 6 level battery indicator on the top LCD and a specific percent remaining value in the Battery Information menu. This menu also provides a shutter count and a recharge performance rating for the installed battery. My first fully charged battery delivered 765 images with 34% life remaining for a 1,112 shot life expectancy. A variety of shooting methods were used including Live View, but AI Servo shooting was more heavily represented in this drain-down. I always carry a spare battery, but the number of frames delivered from a fully charged battery has been easily sufficient to take me through a day of moderately-heavy shooting. Canon offers a dedicated battery grip for most of their non-1-Series DSLR cameras and the BG-E20 Battery Grip is available for the 5D Mark IV. The battery grip allows two batteries to be used, effectively doubling the battery life in terms of shots per charge. More important (for me at least) is that the battery grip also provides a vertical/portrait orientation grip with associated controls, making such shooting far more comfortable. Battery grips are great accessories; I have them for most of my DSLRs. The Canon EOS 5D Mark IV is available as a body-only, in a kit with the Canon EF 24-70mm f/4L IS USM Lens or in a kit with the Canon EF 24-105mm f/4L IS II USM Lens introduced in the same press release. These lenses are (or promise to be) ideal choices for a Canon general purpose/walk-around lens for this camera. Usually, a camera and lens bundle receives a price discount. As of initial announcement time, that is not the case here. By far most initial 5D Mark IV purchases are for the body only. That is in-part due to buyers already having a good normal zoom lens, but no monetary incentive to buy the kit is also likely influencing this decision. The 24-70 f/4L IS has been around for approximately 4 years as of 5D IV announcement time and, though I’ve waffled in my favor of this lens and the 24-105 f/4L IS II’s predecessor, the 24-70 f/4L IS is my current walk-around general purpose zoom lens. The 24-105 f/4L IS II is not on the streets as I write this, but it is expected to be a nice upgrade to the predecessor, which is a great lens itself. 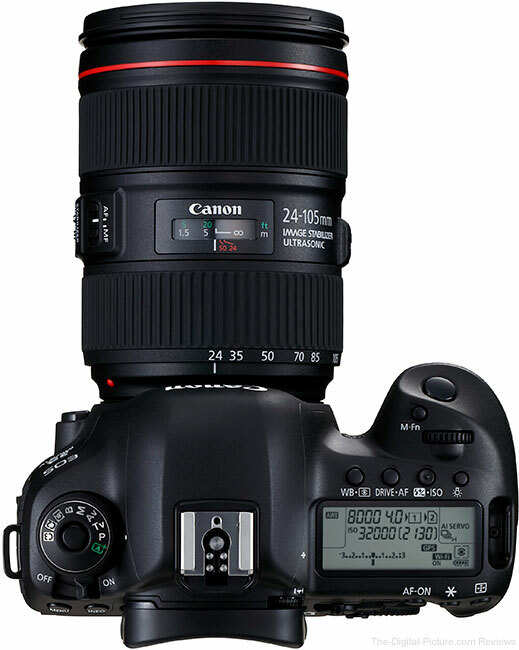 This is the lens shown mounted on the 5D IV in many of the product images on this page. Review the Canon general purpose lens recommendations page to find the most up-to-date list of best lens options. Then add, minimally, a telephoto zoom lens and a wide angle zoom lens to your kit. The Canon EOS 5D Mark IV is compatible with the small, inexpensive Canon wireless remotes including the Canon RC-6 Wireless Remote. Want to be part of your own family picture? Or just don’t want to deal with a remote release cord? This is the accessory you want. The 5D Mark IV is also compatible with Canon’s N3 wired remotes including the Canon Timer Remote Controller TC-80N3and Canon Remote Switch RS-80N3. Price is one camera aspect that we always want to be lower. The 5D Mark IV gets the same initial pricing as its predecessor, which most would not deem “low”. However, that this camera delivers so much value for the price drives a very significant sales volume, especially among the enthusiasts and professionals following this site closely. As always, keeping a review of an incredibly-feature-laden DSLR such as the 5D Mark IV concise but complete will be a difficult balance to find and this review will not be a complete description of every 5D Mark IV feature available. Canon has published an intimidatingly-huge, over-600-page owner’s manual (linked to from this review) that highlights all of the features found on this camera and explains their use. The manual will tell you all about a huge array of features including Auto Lighting Optimizer, Distortion Correction, Chromatic Aberration Correction, Peripheral Illumination Correction, Diffraction Correction, Dual Pixel RAW, remote control via a USB-connected computer, flash setup and control, High ISO Noise Reduction, Long Exposure Noise Reduction, Highlight Tone Priority, HDR, Multiple Exposure … and many, many other topics. Read the manual, go use your camera, repeat. Owning a Canon product gives you access to Canon support and the support I have been provided by Canon’s USA division is excellent (sorry, I have no experience with the other Canon divisions). When I call for support, I get an intelligent person who sincerely wants to help me with whatever my question or problem is (let’s just say I challenge them sometimes). Canon repair service, though I seldom need it, is very fast and reliable. Those residing in the USA with a 5D Mark IV in their kit along with a nice lens or two will qualify Canon CPS membership and the additional support benefits this membership provides. The 5D Mark IV used for this review was sourced online/retail. Canon has a deep history in the camera business and has developed model lines that appeal to great numbers of people. “Is the EOS 5D Mark IV the right camera for you?” is of course the relevant question for this review. For someone considering the EOS 5D Mark IV purchase, the other current EOS models that should be considered include the EOS 5Ds /5Ds R.
While price is often a differentiator between cameras, there is a relatively small difference between these two. I see resolution being the only 5Ds / 5Ds R advantage, but it is big one. 50.6 mp is significantly higher resolution than 30.4 mp. If that advantage is unimportant to you, get the 5D IV. The initial pricing differences between these two cameras is enough to keep the decision from being simple. The 5D Mark IV is a significantly better camera, but the 5D Mark III has been and remains a very good one. If none of the 5D IV features are important to you, the 5D Mark III will save you some money. For those needing a smaller or less expensive full frame DSLR, the Canon EOS 6D should be considered. The differences between these cameras are significant, but the price is also. If an APS-C model is acceptable, the Canon EOS 7D Mark II and Canon EOS 80D are the review-time current models to consider. My expectations were that the Canon EOS 5D Mark IV was going to be at least as wildly successful as its predecessors were, but that expectation was not very hard to realize. The Canon EOS 5-series cameras have become synonymous with value and versatility. Though they are not inexpensive cameras, they are considerably cheaper than the 1-Series models. But, even at a much lower price, these versatile and practical cameras are very high-performing, delivering a very solid feature set with extremely high image quality. The feature sets included in the 5D-series have enabled them to aptly serve a wide range of photographers’ needs including portraiture, weddings, events, landscapes, nightscapes, architecture, photojournalism, street/documentary photography and even sports. Canon EOS 5D Mark IV continues this tradition, taking performance, image quality and the feature set to new levels. This camera is going to take a lot of pro and amateur kits to the next level.